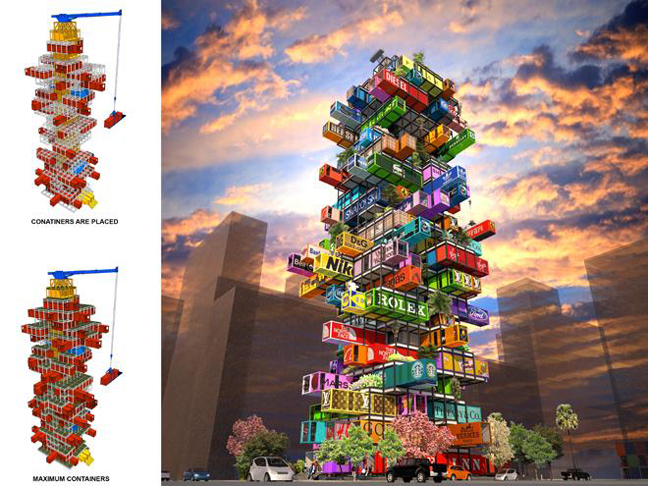 Hive-inn, a hotel structure that allows containers rooms to travel in and out, designed by Hong-Kong-based OVA studio, for applications such as emergency housing or medical care units and more. 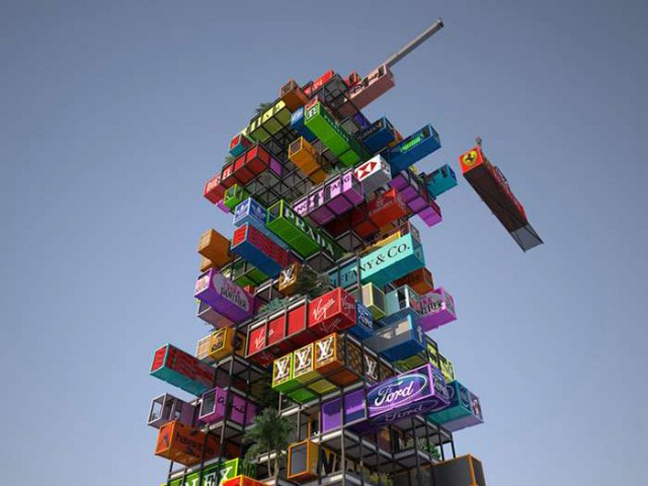 Pushing the idea, they found that creating a link between famous brands, container fit-out, and hive-inn operators could be a winning scenario in which greater experience for the customer could meet with more exposure for the brands, at a less cost for the operator. They approached the idea under various angles, from design, to financial, to customer / brand experience. 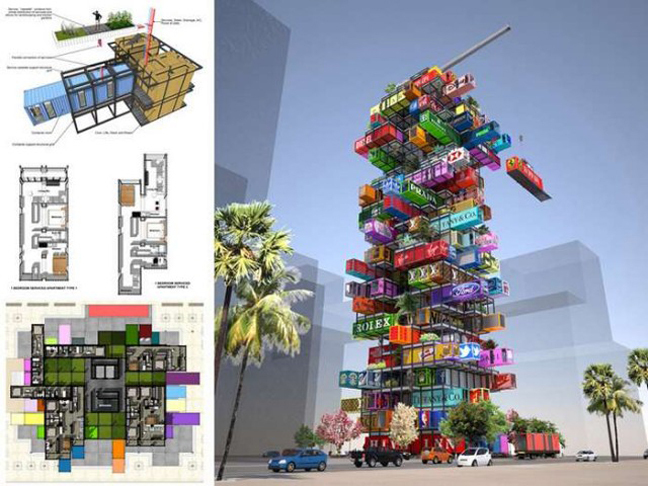 As possible scenarios, they developped two container room designs for Ferrari and Alexander Mcqueen.